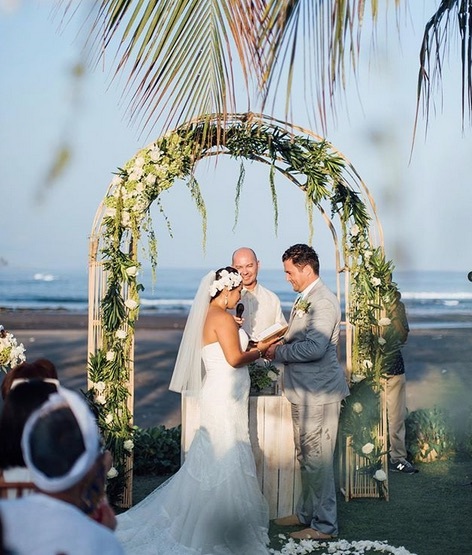 If your planning on coming to Bali and having a wedding on the beach then following is a list of the best wedding venues on the beach. These wedding venues are right on the beach which makes the perfect setting for your wedding. Nothing beats having your wedding ceremony on a quiet beach just as the sun sets. Villa Bale Agung is the ultimate wedding location, nestled in one of the islands most exclusive villa estates with views of the Indian Ocean that will certainly wow your guests! 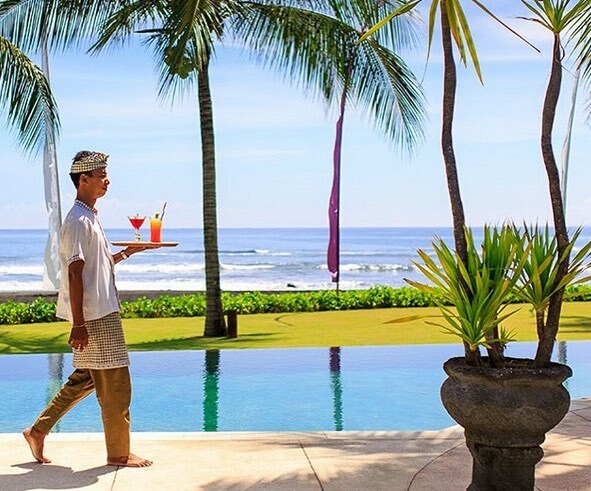 Accommodating up to 10 guests, perfect for pre and post wedding celebrations, Villa Bale Agung has a professionally trained team of staff to make sure the service your important guests receive is of the highest calibre. The private infinity pool is as immense as it is glorious in its home perched on the cliff-tops with views to match any in the world. There is plenty to keep wedding guests entertained on the Bukit Peninsula from afternoons at the amazing Rock Bar, Omnia Beach Club, explore some beautiful beaches, surf on the best waves in the world or even play a round of golf, at one of the 3 Championship golf courses, all located close to the villa. I you would love to book villa Bale Agung for your wedding ceremony & reception contact Cindy now at Your Bali Wedding. Villa Karang Saujana is the absolute answer to all your wedding wishes, in one perfectly wrapped stunning cliff-top villa on the Bukit Peninsula. As soon as you choose this highly popular wedding venue to exchange vows with your loved one, all those bothersome, little pre-wedding worries and jitters, will quickly disappear. Karang Saujana Estate is the most exclusive, private and delightful estate of its kind on the island. 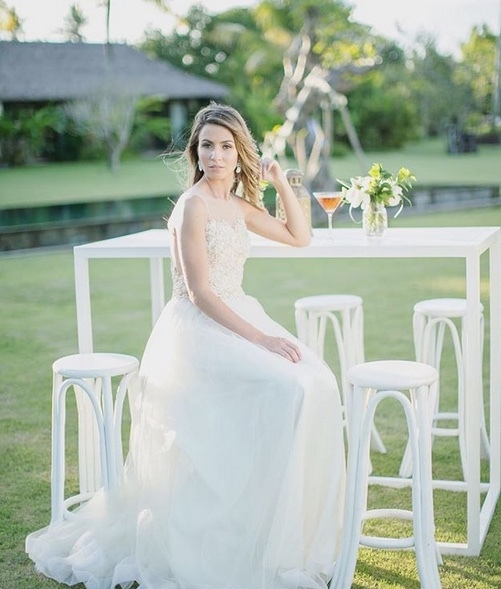 Witness dramatic views of the Indian Ocean and immediate rugged coastline, enjoyed by either 50 guests seated for a formal sit down dinner, 140 guests for a cocktail party styled event, or even book an adjoining villa to accommodate up to 280 guests providing a huge seated dining area and much needed additional accommodation for your wedding party. Villa Eden, what a stunning venue to say “I Do”, this is the tropical version of Villa Eden, a private island hideaway that ticks all the boxes for your dream Bali wedding venue. 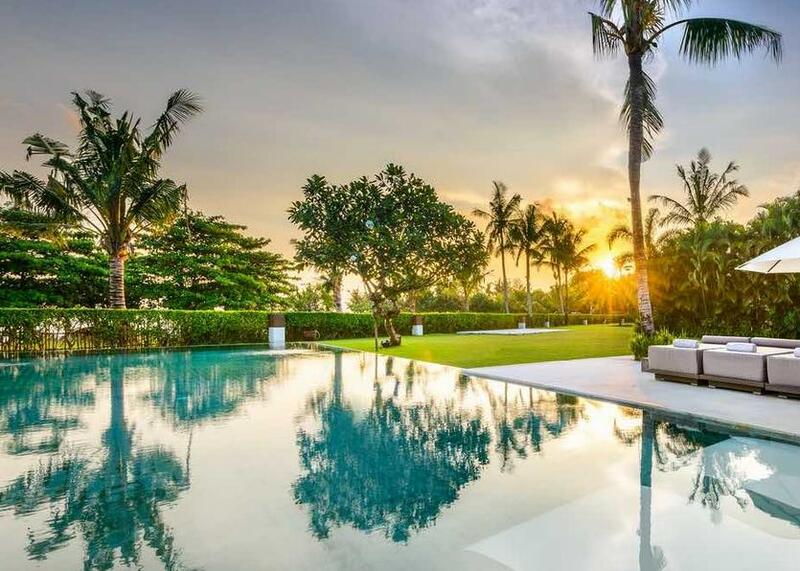 This villa with all the latest in modern luxury living, sleeps up to 9 guests, just minutes away from all the great beaches and tourist hot spots of Canggu and Seminyak, without all the hustle bustle. As a wedding venue, guests will appreciate the privacy and opulent luxuries of Villa Eden Kaba-Kaba, a private tree-house, with a gentle waterfall just meters away, the pavilion is ideal for the newly married love-birds; surely seeking utmost privacy and a little intimacy on the side. 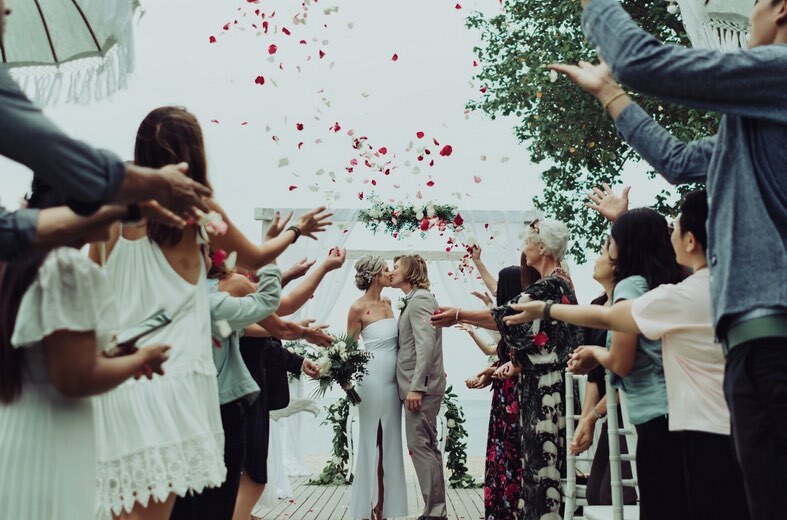 With 100 metres of beach front in the vert popular area of Seminyak; Villa Atas Ombak is a one of the most popular wedding villas on the beach. It’s close to t he airport, has 5 bedrooms, can accommodate up to 200 – 300 guests quite comfortably and is staffed by a team of wedding professionals who have seen countless weddings the villa. 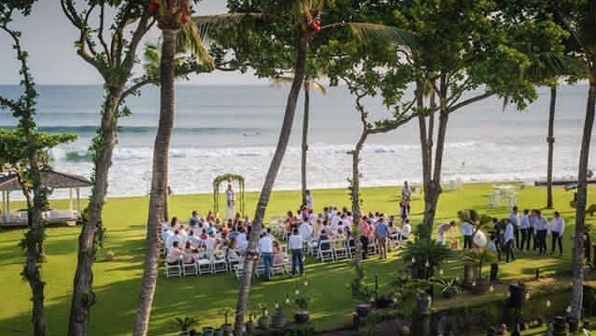 If your wanting to close to Seminyak’s popular attractions and close to loads of shops then this would have to be one of the best wedding venues. Morabito Art Villa is an fabulous beachfront wedding villa with 14 spacious and very modern bedrooms. 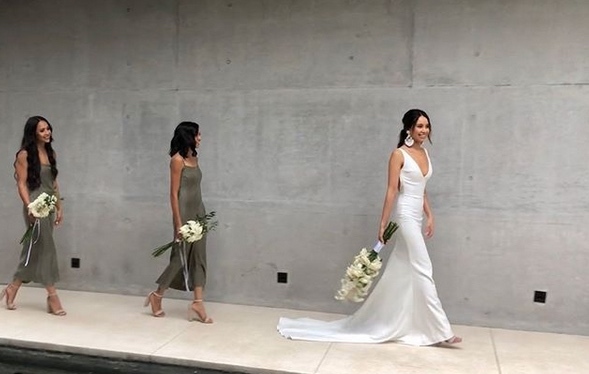 To add to this it has it’s own private beach which sets the tone for an unforgettable wedding venue.The villa has stunning white tones and fuses contemporary and traditional design easily. The French owner Pascal Morabito is known for his eclectic designs and passion for creating jewellery, perfumes and so many more things; including this wonderful villa where he has certainly left his mark. 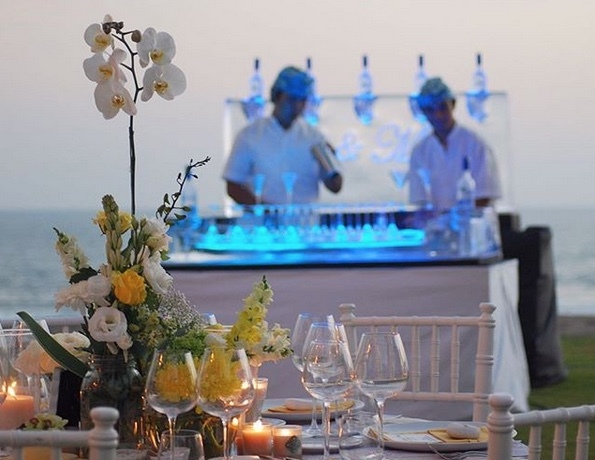 There is ample space for everyone and with it’s prime beach front location, this has got to be on your must see list for your wedding in Bali. For more information about Villa Morabito Art click on the link. 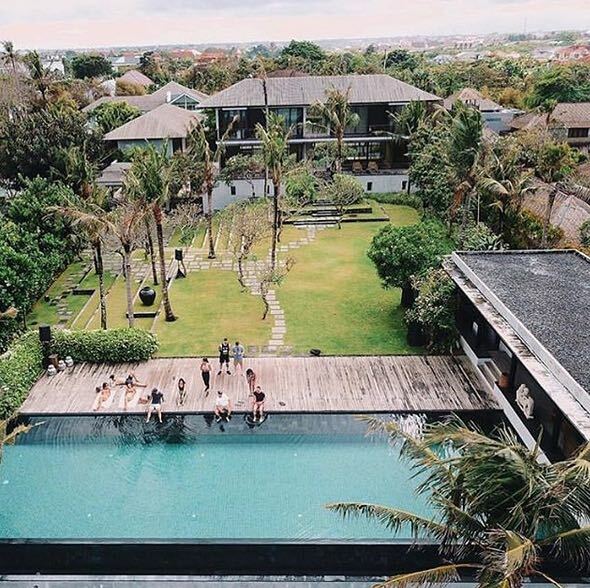 Located in Canggu the villa is in a fashionable and trendy area with lots of great cafes and emerging restaurants that have become famous throughout Bali. 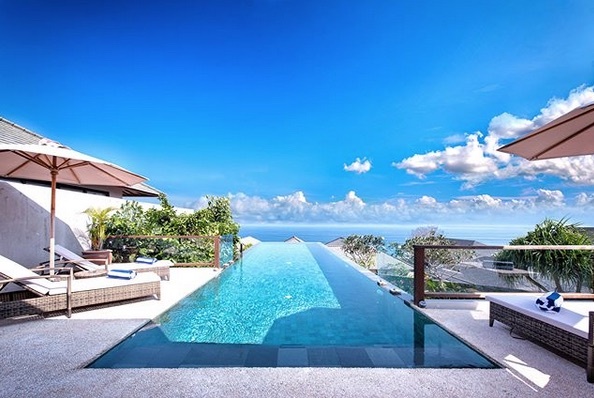 Beachfront estate with one of the best infinity swimming pools you will ever see. It’s in a prime Canggu location within walking distance to Jalan Batu Bolong and all those fabulous cafes. 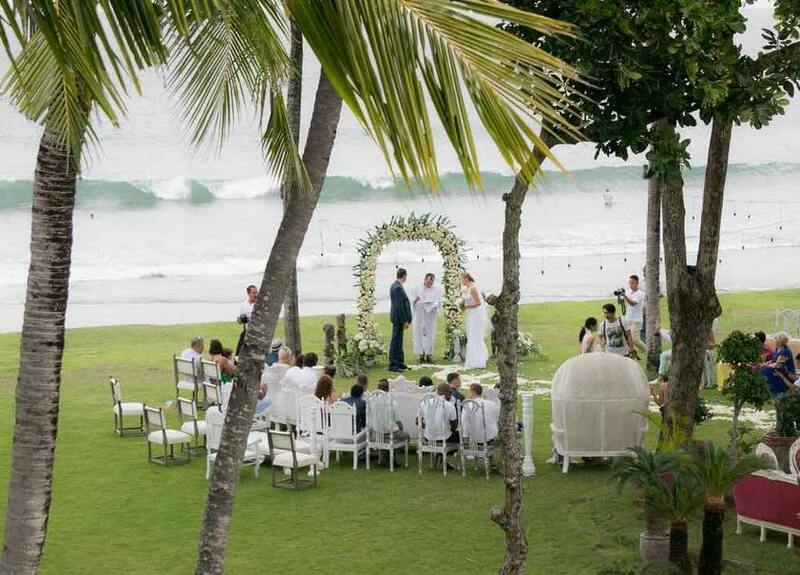 It’s also right on the gorgeous black volcanic sands on Canggu beach which makes a dramatic backdrop and venue for any wedding ceremony. It can accommodate up to 200 guests and if your planning to stay at the villa for a few days after the event with your friends or family there is a tennis court, gym, spa and 5 incredibly modern bedrooms all with their own private en suites. 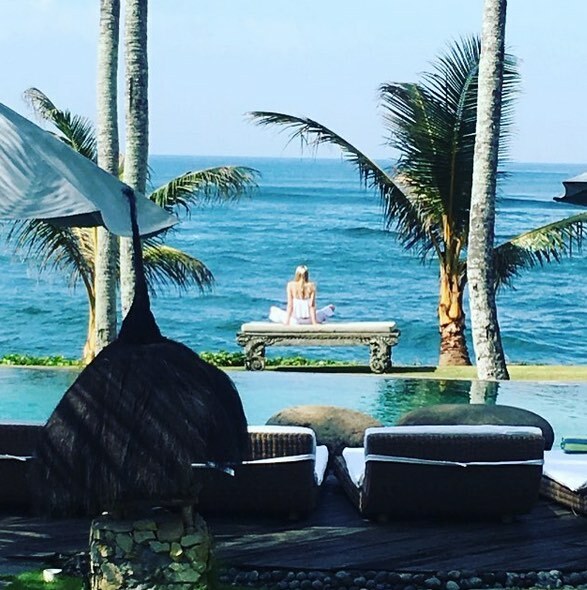 Taman Ahimsa is one of those sensational beachfront villas that will immediately take your breath away. It’s located in the Seseh beach area which puts it about 15 minutes from Canggu central for those of you that love to shop and hand in the latest cafes. 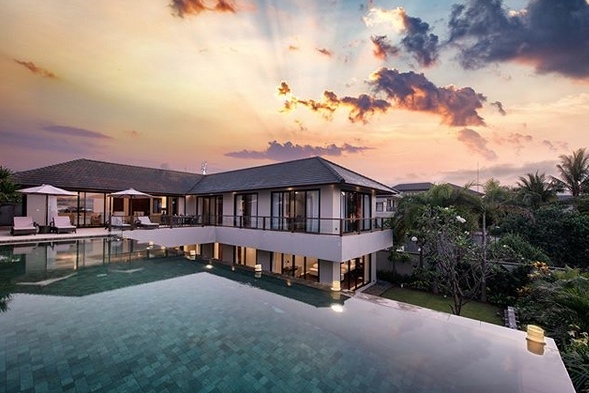 But, why would you want to leave this villa when the facilities and the seven bedrooms are all 5 star. 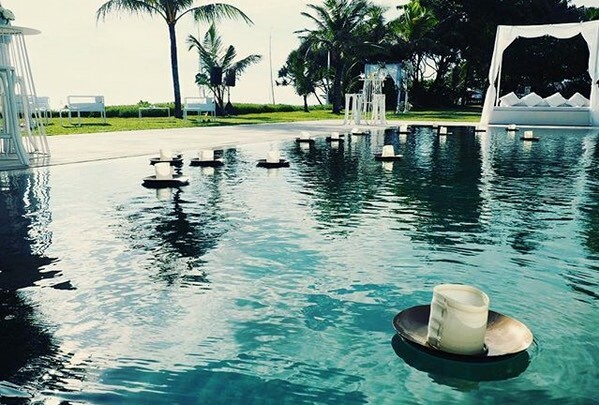 Yo have a swimming pool over looking the tranquil beach which will be the focal point of your wedding. 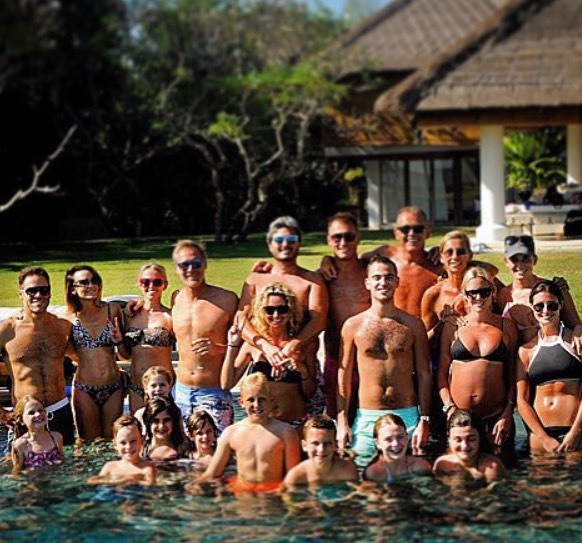 This is the one of the best villas in Canggu for a wedding so make sure you get in touch with us at Your Bali Wedding to go over the whole ceremony and perhaps a few days luxuriating here after the special day. 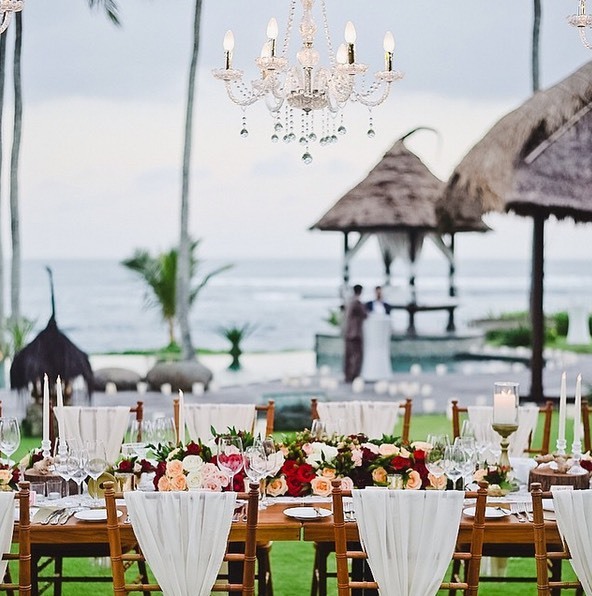 Surrounded by rice fields, peaceful Balinese villages and of course with a commanding position right on the beach Shalimar Villas is known as one of the premium beach wedding venues in Bali. The estate has 12, 6, 4 & 2 bedroom villas so it can accommodate different sized weddings. 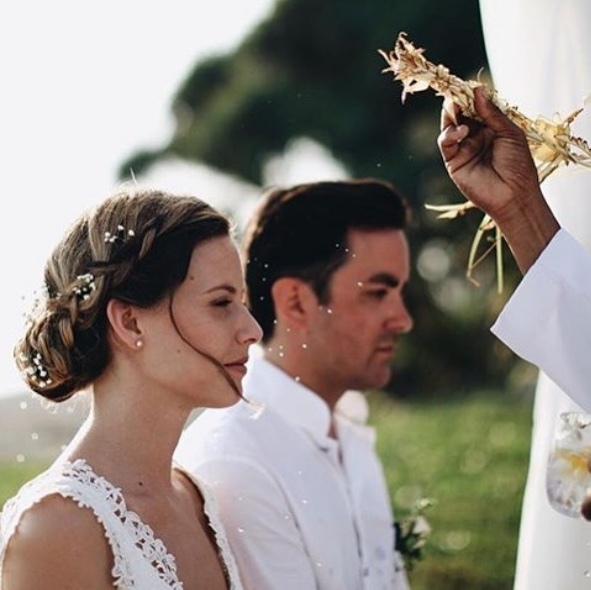 The entire estate and all villas have been completely renovated back in 2016 so you can be assured that the whole place is modern, clean and as you would want for your wedding; absolutely gorgeous. 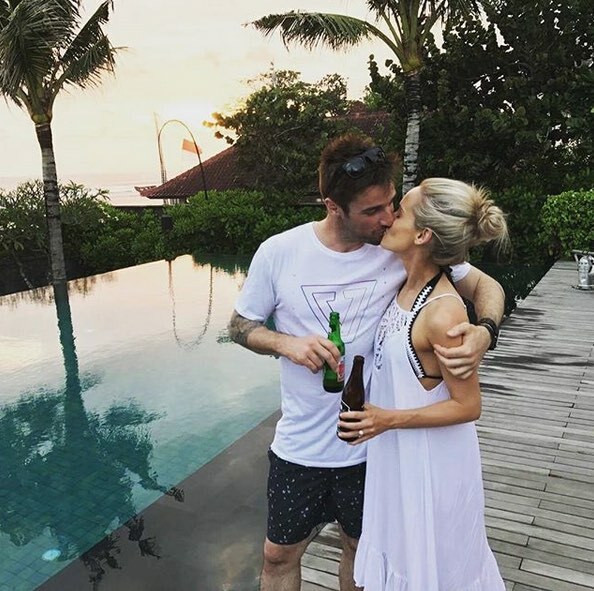 A huge advantage of having your wedding here is that you are in the really trendy Canggu area so there is always something to see and do for your guests and family after the event. 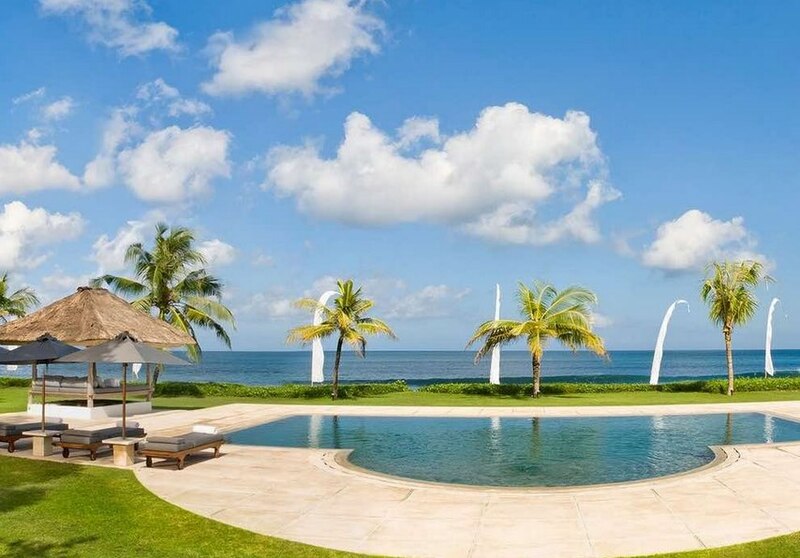 Located in the peaceful seaside area of Sanur this beach front villa is one of the best wedding villas in Sanur. It’s sensational beach location isn’t the only fabulous feature. It has sensational amenities and it’s well manicured gardens and inviting swimming pool make the ideal back drop to say your wedding vows. 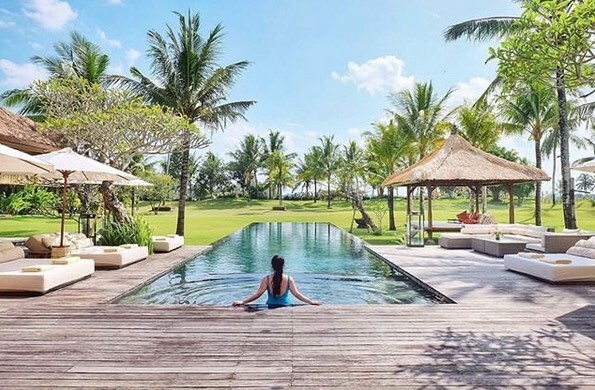 With 4 bedrooms, 2 swimming pools and ample space for up to 100 guests, Villa Pushpapri should be high on your must visit list if your planning a beach wedding in Bali. To see more information click here. If you would like to see other Bali wedding venues please browse this website or contact our head Bali wedding planner. Or if you would like to see some of our beach wedding packages please use this website or contact our wedding team.